If you’ve tasted Puli Inji once, I bet you cannot type or read these words without salivating. Such is the reaction of the senses to this simple condiment, which is anything but simple in its flavours. It’s one of the dishes that is served as a part of Onam Sadya. It also occupies place of pride on a banana leaf in quite a few Tamil Brahmin wedding lunches. Keep tasting as you go, because tamarind, chilli, ginger, jaggery – all can have varying intensity of flavour depending on the variety used. Though you cannot modify the quantity of ginger midway through the recipe, the other three ingredients i.e. 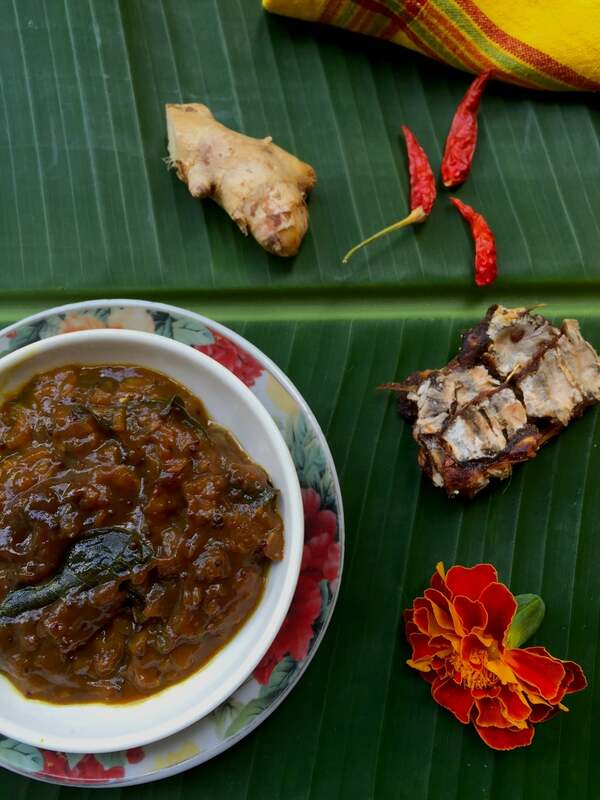 green chillies, tamarind and jaggery can be adjusted to get a perfect balance of flavours. You can even use some red chili powder when the puli inji is simmering. 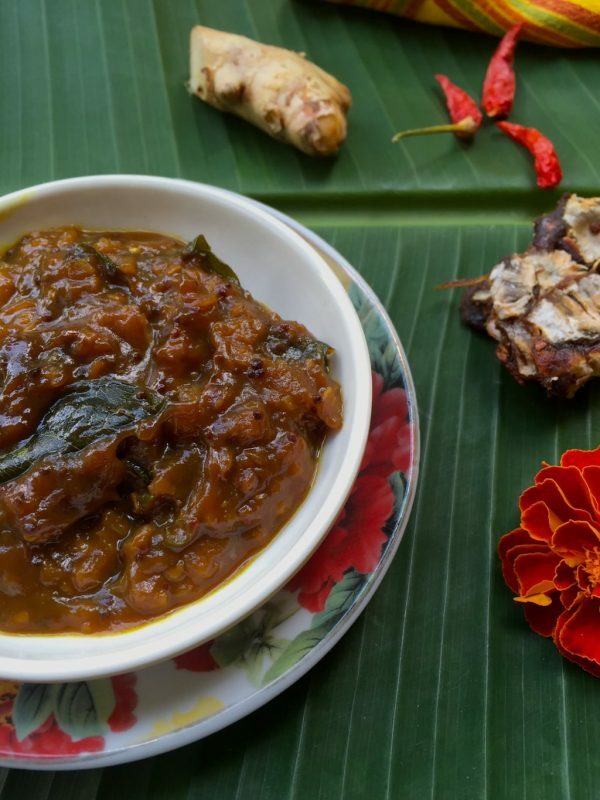 Recipe for Puli Inji - a condiment prepared using ginger and tamarind as the main ingredients, a mainstay of Onam Sadya | Ginger and Tamarind Chutney ￼ that tastes sensational with the simple curd rice! **Preparing Tamarind extract for Puli Inji - Take 30 grams or 1/3 cup packed tamarind in a bowl. Pour 1.5 cups of boiling hot water over this. Cover and keep aside for 15 minutes. Crush and squeeze the tamarind pulp well to get the extract. Pass through a sieve and squeeze out all the juice. Use this tamarind extract / water for the recipe. Alternatively, slake 3 tsp of tamarind paste in 1.5 cups hot water and use that.